When experience counts… count on Bruce and Mary Lou! There is never a dull day when you enjoy being a Realtor. Life is full of clients, continuing education, keeping up with new tech advantages and ENJOYING OUR MOUNTAINS! 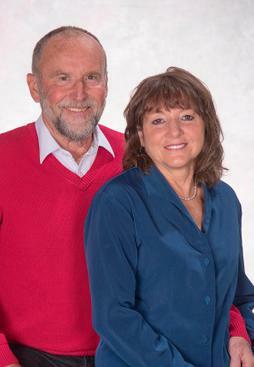 I started in real estate 40 years ago and have been in Buena Vista the last 17 years with my partner Mary Lou. We service the Central Colorado Region which includes Leadville, Buena Vista, Ranch of the Rockies, Nathrop, Salida, West Cliffe and everything in between. We choose to live here because the quality of life is amazing. The people, activities and community atmosphere keep life interesting. This is a wonderful place to work & play and share with my clients. Together we have explored the country side and know the mountains, hiking and biking trails, fishing and hunting spots and love to share our local knowledge. We have worked together in real estate for 11 years, giving the higher level of service 2 agents working for you can provide. We strive to make your transactions with us The Best Real Estate experience you ever have! Bruce graduated from University of Oregon with a degree in personnel management and minor in international business and law. I have been president of our board of Realtors and President of our Chamber of Commerce where I continue to be an active volunteer. Mary Lou is an adventurer with education in Art, Poetry, Marketing and Natural Healing. A mother of 2 who has raised her family here and understands the diverse needs and concerns of family life in a small mountain town. Together we will work to find you the home, lot or business of your dreams because we take the time to get to know you and your needs and desires.